Disclaimer: These tutorials were written in 2011. Many of the methods used here may no longer be accurate, but I keeping the information available to hopefully steer people in the right direction. 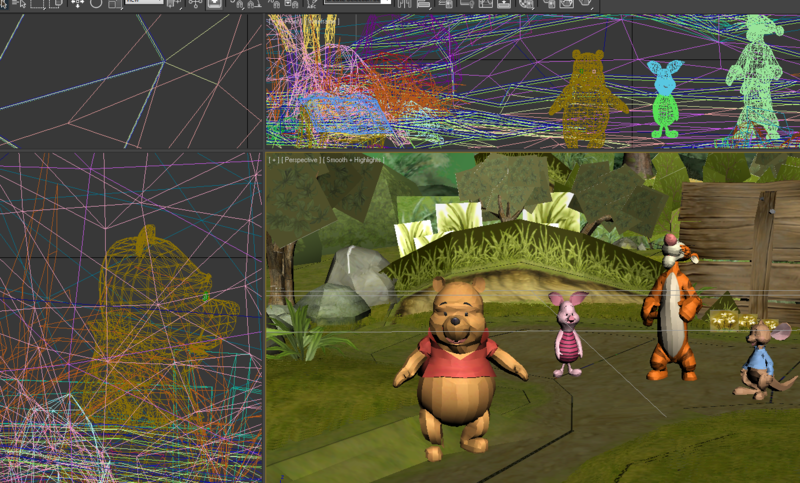 Ripping Gamecube models with 3D Ripper DX is similar to ripping models from other games. – I recommend “dolphin 3.0-226 32-bit” and 3D Ripper DX 1.8.1 (this is the combination I use). 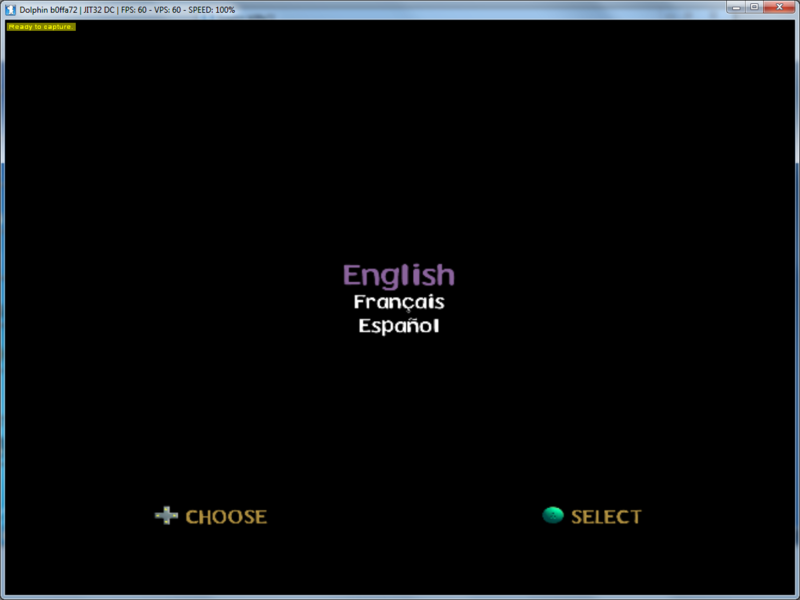 – This will only work with a 32 bit version of Dolphin Emulator. – Resizing the window may give you problems. – I’ve only tested this with one game, so your results may vary. 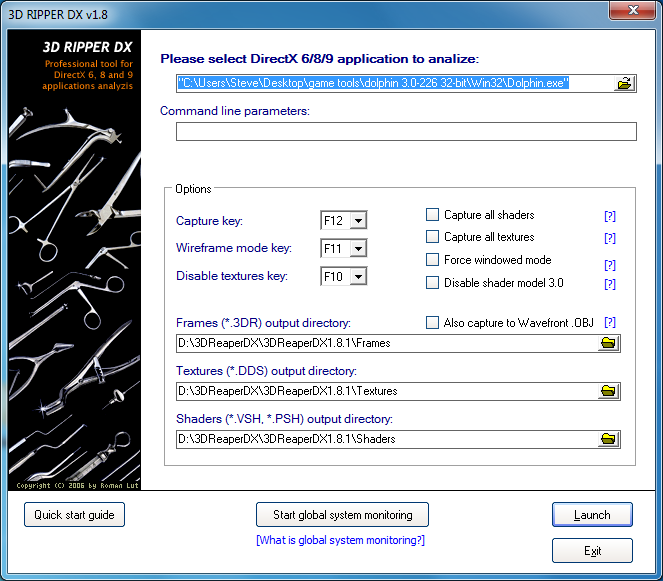 Start 3D Ripper DX and select the Dolphin EXE. Hit the launch button. 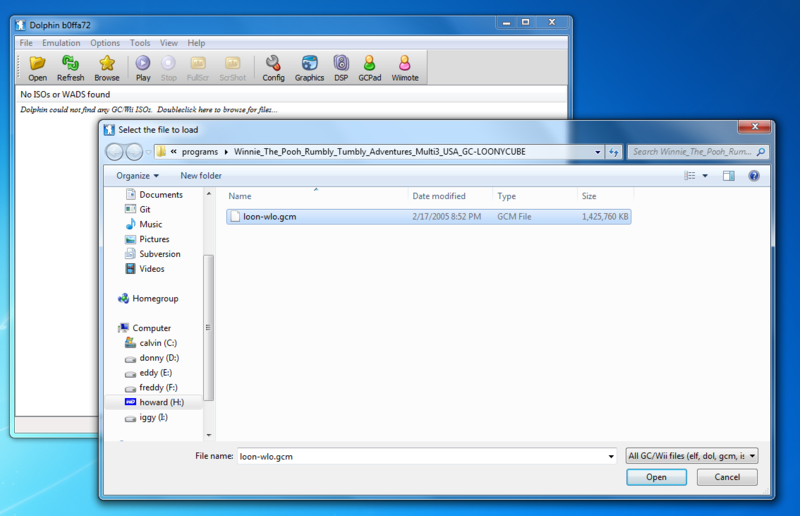 Once the Dolphin EXE launches, press the open button and select the game file. If everything worked you should now see a “Ready to capture” message in the top left. Play through the game until you reach a point you are ready to capture. Use the assigned capture key (F12 by default). 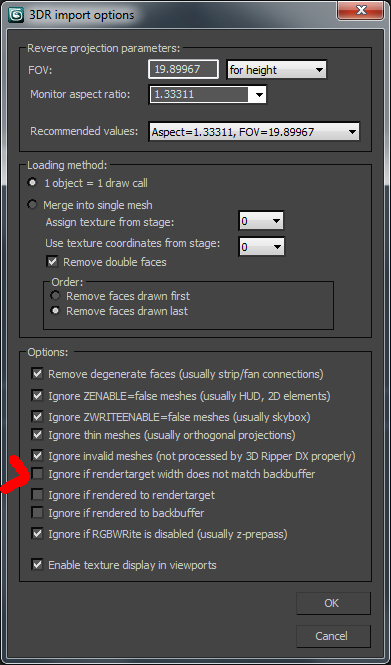 When importing into 3DS Max, make sure you uncheck “Ignore if rendertarget width does not match backbuffer”.